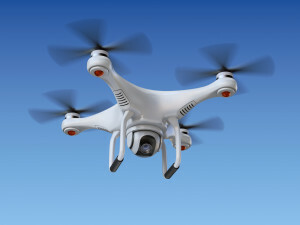 Drones are commonly used now in deliveries, leisure activities, photography, and criminal law enforcement. They are generally safe if handled professionally and if operated within a wide airspace without humans or structures. But they are not completely accident-proof. As with any remote-controlled device, pilots of drones can have moments of miscalculation. If they are operating through remote cameras or from a distance, pilots can have visibility limitations of the surrounding areas, especially those covered by trees, posts, and buildings. The drone can get caught in tree branches or crash into concrete surfaces. Or weather conditions can affect the drone’s flight path. The worst possibility is that they fall on or fly in the path of humans, causing serious injuries. And drone-related injuries have been growing since 2009. If you have been hit by a drone, you can file a personal injury claim against its operator. Drones are covered under a 1981 Federal Aviation Administration advisory which includes model planes and other remote-powered gadgets. This advisory specifically states that drones should not be flown higher than 400 feet, and its operator needs to inform airport control towers when he’s flying it within three miles of the airport. According to the FAA, all drone operators are in fact pilots and therefore have a huge responsibility over their flying gizmos. As in any other personal injury case, the amount you can rightfully claim depends on many factors, including the extent of your injuries as backed by doctors’ diagnosis and medical bills, your lost wages, pain and suffering you endured, any continuing treatment necessary, and the drone operator’s own insurance coverage (if he has one). So what do you expect as a plaintiff in a drone personal injury lawsuit? First thing is to get a lawyer as soon as possible. He or she will begin the process of pre-suit investigation, such as gathering your medical records, photos of the drone and the accident site, witnesses’ attestations, and your own narration of the incident. Based on the information obtained during this time, your lawyer will determine whether you have a case worth pursuing. If you have a pursuable case, your lawyer will proceed to notify the drone owner and request for an insurance declaration sheet. This provides your lawyer with the insurance coverage limits applying to the suit. You will discuss the case value with your lawyer and agree on what is reasonable as a claim. Then your lawyer will prepare a settlement demand package and present it to the drone owner or its insurer. If the other party is not agreeable to the package, your lawyer will need to file a drone personal injury lawsuit in court. A complaint will now be issued against the drone user, and your lawyer will ask for damages and a trial by jury. The drone owner (now the defendant) will need to answer your complaint and appear in court. You will sit with your attorney to present a sworn statement or deposition. The court will most likely require mediation which is an informal way of settling your claim without going to court. It is now up to you and the defendant to agree on a mutually acceptable recompense package. Most drone personal injury cases conclude this way. If you and the other party (or his insurance company) can’t agree on the settlement amount, your lawyer will then put your case forward to a jury trial which will last anywhere from a few days to a few weeks depending on the severity and costs of the injury. If you have been injured by a drone, let our Injury Lawyers in Manchester,NH Help you.